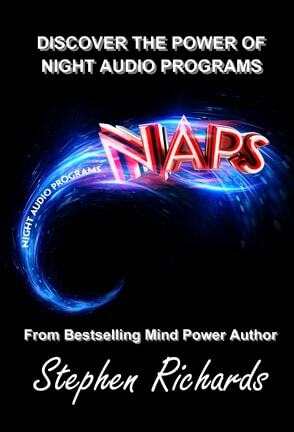 Today we are interviewing Stephen Richards about "NAPS: Discover The Power Of Night Audio Programs." Million seller self-help author Stephen Richards is one of the world’s leading experts in Mind Power and Wealth Creation. Having over 90 titles to his name across all genres of self-help ensures he is always giving something new in the self-help and law of attraction genre. 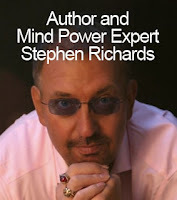 Stephen is a multi-millionaire property developer, former clinical hypnotherapist, film director and all because of how he used the Law of Attraction to help accelerate him to success. 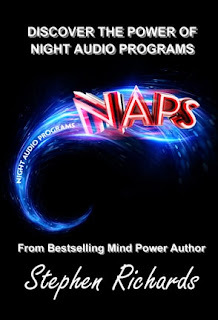 The book shows how anyone can, design, create and use Night Audio Programs (NAPS) to help them secure success. Now with this you don’t have to be Merlin the Magician to manifest your desires, you just follow the simple to follow instructions. You then simply play the audio on loop through the night, and it works as you sleep! Anyone wishing to secure success of any nature will benefit from this. Can be used by any age, there are no limits to what you can achieve once you access your subconscious mind with the power of NAPS! What inspired you to write a book about the power of Night Audio Programs (NAPS)? I saw how others had unsuccessfully used NAPS from other sources and decided to develop the idea into something that could generate a successful outcome, which I believe I have done here. For readers unfamiliar with NAPS, can you describe them for us? NAPS are just short affirmations or success sentences created in what I call “clean language”, recorded on your PC or laptop and then played back on a constant loop as you sleep at night. By doing this the subconscious mind is embedded with positive commands. I also show how you can beef up a NAPS to get even better results. Can you tell us a bit about the history of NAPS? We can go back over 7,000 years to when the original self-help gurus would whisper into the ears of those sleeping, this was the true way the Law of Attraction was used. Then many modern day gurus developed audios along the same lines, but they proved hit and miss with subliminals and other encoded sounds not fully accessing the subconscious mind. I have taken this one step further and gone back to the traditions of the original self-help gurus in how they would simplify words in a positive way that would inspire the subconscious mind to generate success. What are the applications of NAPS? The applications of NAPS are limitless, all within the bounds of a person’s capabilities and even beyond. The subconscious mind is an untapped source of power, and anyone with the desire to achieve success in their life will find by using NAPS that they unlock the true power of the subconscious mind. There are only limits that you set yourself, the rest is limitless! Do NAPS have to be played on headphones or do speakers work as well? Ideally it is best to play NAPS that have bianuaral beats or theta waves embedded in them through headphones, and since the listener will be sleeping whilst listening I recommend cordless headphones. However, if playing NAPS without any encoding in them then listening through speakers is OK, but I always recommend headphones so as to combat any ambient nose in the bedroom. What is one fact about NAPS that surprises most people unfamiliar with them? NAPS are so easy to create, even a child could create them! When explain how simple it is to make such an audio and how powerful the use of clean language is then it amazes people. But not just that, the results people get from using them have been proven when I used many test audios on willing volunteers! There is a clear message in my book that they do not need to embrace the self-help woo-woo currently being peddled on the internet. They can throw out there old copies of The Secret (as I do not know anyone that has secured success as a consequence of it, and neither does it offer any instruction on how to secure success), they can free up their time through the day that they once spent listening to self-help audios and just playback NAPS during the night as they sleep. They can save money by creating their own success audios instead of buying mountain loads of rehashed woo-woo currently available! I have had enormous success with past books, having many translated into numerous languages, and I pride myself i being a million seller author, but you are only as good as your next book! I have taken the self-help genre to new heights with this NAPS, so I believe I should build on that and go deeper into exploring the power of the subconscious mind in my next book. You certainly do not need to be Merlin the Magician to secure success, I do away with the entire spiritual woo-woo process so many are selling and go straight into the success artery – the subconscious mind. There is no need to spend hours and hours listening to self-help audios when you can create your own in a short time, and the uses are limitless. From encouraging being healthy to wealthy, that is the power of NAPS!